As many of you know, I am a huge fan of layering my lipcolors. I can never be satisfied with just one lipstick or lipgloss -- I like to create my own shades and consistencies by mixing and matching various shades in my lipcolor wardrobe. And my recent find -- the combination of M.A.C Lustre Lipstick in Way to Love and Bobbi Brown Lip Gloss in Rosy -- is a real winner. On its own, Way to Love is a pretty pale pink. Nothing crazy, nothing overt, just a nice, safe, pastel pink. It looks good by itself, but I decided it needed a little kick. So I swiped on a touch of Rosy and WOW! Instantly, my lips went from pale pink to super-chic raspberry. I would never have guessed how fantastic the two colors would look together -- but I was utterly happy and surprised! 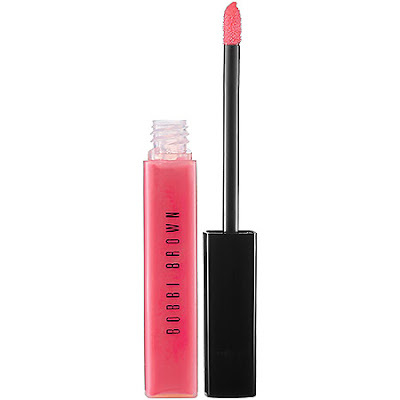 Bobbi Brown Lip Gloss in Rosy retails for $24 at sephora.com. 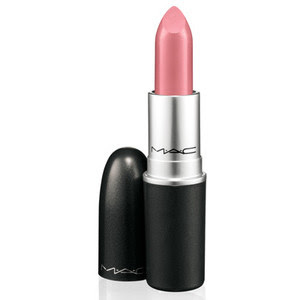 M.A.C Lustre Lipstick in Way to Love was part of the Rose Romance collection and is not available anymore. I bought a Chanel Rouge Allure lipstick a while ago where I thought the color would look good on me. Boy was I wrong! It was supposed to be pink coral but instead it comes across on my lips like a bright peach. In addition it's a creme so the color is very strong. One day I started mixing b/c why waste a Chanel lipstick, right? For some reason, I eventually partnered it with Sephora's Rosy Glow. It added just the right amount of sparkle and toned down the color to a glimmering coral!